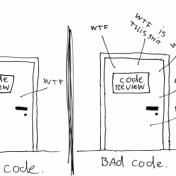 Why CheckStyle ruins down code quality…? Dániel Hári 2016-07-29 1 Comment on Why CheckStyle ruins down code quality…? Love java, always finding best practices and new technologies. Prefer clean and simple coding.